← More Apps Reduced or Free for Autism Awareness Day from Smart Apps for Kids! 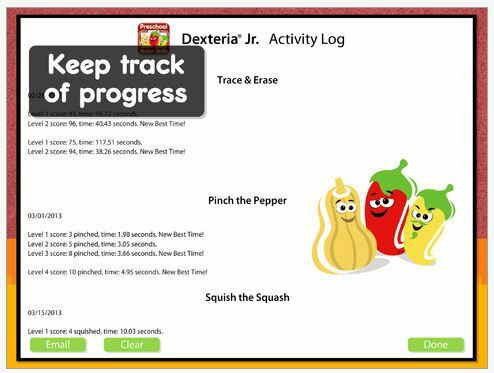 An activity log tracking time on task and performance is included. Thanks to Carol Hesch, OTR for informing me of this new app! Do you have experience with the app? Share if you have! 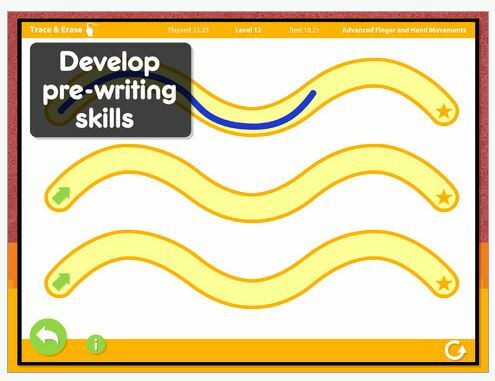 This entry was posted in App Reviews, Apps for OT's, AT for Handwriting, Early Childhood, Education, Fine Motor Development, Finger Isolation, iPad, Occupational Therapy, Pediatrics, Pre-writing, Visual Motor, Writing and tagged App Review, Early Childhood, fine motor, Fine motor apps, Handwriting, iPad, OT Apps, pre-writing, Visual motor apps. Bookmark the permalink. 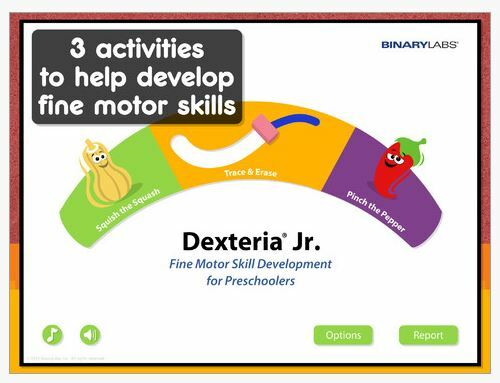 I have used this app with some preschoolers and they loved it! I am working on finger isolation with 2 of them, so Squish the Squash was great for that. Also, Pinch the Pepper was great for beginning pinch prehension; the Trace & Erase was a bit more challenging, as the app requires the line drawn to be within the boundaries. I like the picture taking feature after you erase your lines. My OTA and 4 of my teachers also purchased the app and started using it right away. Very nice app for the price! Thank you Patty for your feedback! A nice addition from Binary Labs!